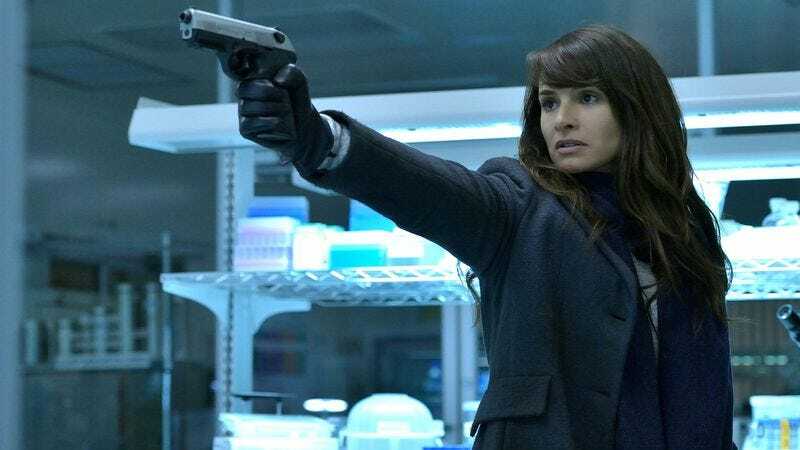 Deadline reports that The Strain’s Mia Maestro will head to Shondaland this fall when she joins the cast of Scandal. Maestro, who’s been trying to figure out the vampire outbreak (conspiracy?) that is happening in New York, will have a “major recurring role” on the show when it returns for a fifth season. Creator Shonda Rhimes hasn’t shared any details on Maestro’s role, but we’re pretty sure there’s room for another Gladiator. And Maestro’s fictional resume would probably earn her at least a quick chat with Olivia Pope (Kerry Washington): Not only has she spent time working under the CDC banner (and Eph’s hair), but she’s also got some espionage work under her belt, having played Sydney Bristow’s sister (Jennifer Garner) on the final two seasons of Alias.